The "Add Skeleton (Simple)" plugin labels the upper arms, between the shoulder and elbow, as forearm1 and forearm2. But "forearm" means the lower part of the arm, between the elbow and wrist. 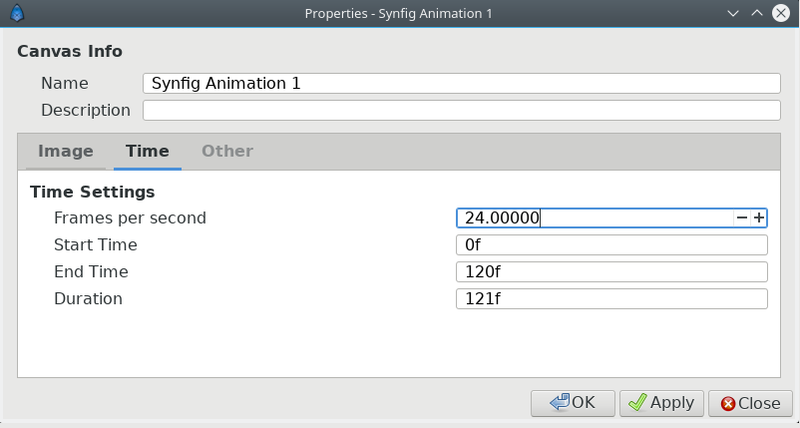 Problem: * People often ask how to set animation length. * The End Time parameter is hidden deep in "Canvas" -> "Properties" dialog ( "Canvas" -> "Properties" -> "Time" tab -> "End Time"). Issue description: If sifz file contains non-latin characters in any component of its path (including parent directories), then it is impossible to open it by double-clicking in Windows Explorer.